So you’ve been trading the Forex market for some time, but now you’re sitting at the cross-roads thinking: ‘I’m chasing my tail; why can’t I make consistent profits?’. The number of times i thought; ‘I got this, I know what i’m doing’ to, ‘I never want to see a Forex chart again’, was simply put: comical (only now, certainly not then!). As an analytical person, I’d like to consider my thought process as more of a “step-back” or a “top-down” perspective in life. When I think back to my beginnings in Forex it gets me thinking about other aspiring traders in a general sense. Why do people choose to speculate on the markets, what their backgrounds are, are they business owners, students, looking for a career change, gambling addicts… It gets me thinking about who I am compared to other speculators, where I come from, my first steps and what I experienced relative to others. What I’ve realised over the years is that none of this matters. I’ve witnessed nearly everyone I know fall victim to “The Cycle of Doom” (and several times). 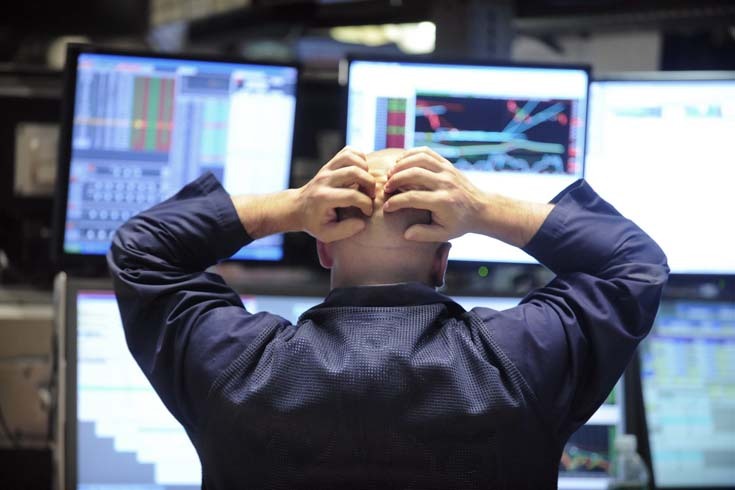 Retail traders fail because they don’t know what to keep nor disregard. They don’t truly understand what components create a successful trader let alone a profitable strategy. This ignorance indirectly contributes to the most detrimental thing an aspiring trader does: The Cycle of Doom. THIS alone is what exacerbates your process, makes the learning curve steeper and in-fact costs you more money than you’ll ever fathom. You’ll lose more money switching strategies mid-losing streak than sticking with the original one. Think about it; losing is an integral part of the game (you have to accept that!). 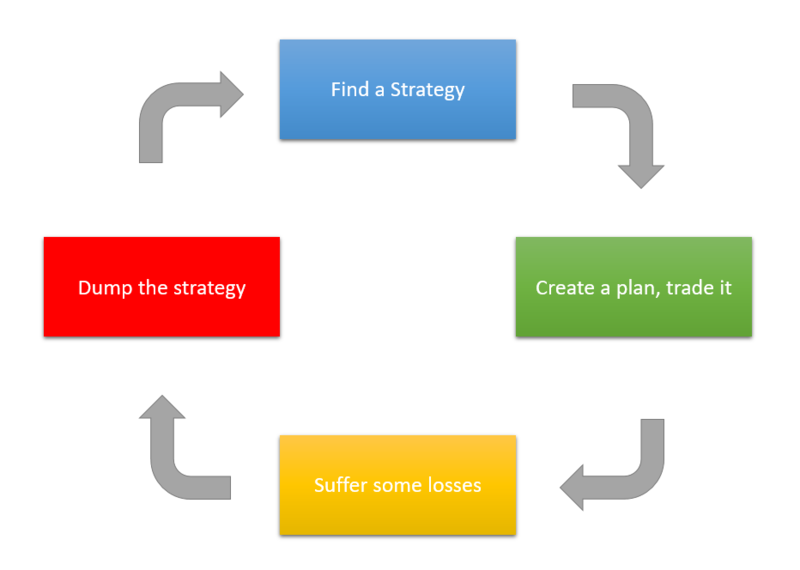 Every time that you dump a strategy after suffering a streak of losses, you’re terminating the higher than normal probability of recovery. Think about the concept of probabilities. In a game of chance there’s positive and negative outcomes. The number of negative outcomes against positive outcomes occurs at random. In the context of a trading strategy, over time positive outcomes should come out on top (referring to winning percentage and / or average win size). This is all assuming that you of course have an “edge” in your strategy that’s clearly defined. We’ve all decided to speculate on Forex because we want to make money – that’s obvious. The things that are not so obvious is the subtle nuances that eat away at your wallet. All the while this happens, you as the aspiring trader find it intuitive to isolate reasons for why this is happening and the blame usually falls onto the strategy first. You may also reflect on your own errors or inabilities to stick to a plan, but never the less they’re both forces that eat you alive. In order to get your trading on track, you first need a resounding level of confidence in what you’re executing (being your strategy). Unless you have confidence, then whether you’ve got the most profitable strategy in the world, you won’t ever be able to make any money. We’ve got some fantastic mentors in the trade room who are here to help. If you feel this is something that resonates with you and the experiences you’ve had, then help yourself by reaching out to us. We will arm you with the right structure to excel your ambitions into a reality. Very interesting article Dom! “The Cycle of Doom” – I love that title. Hey Daniel – glad to hear you liked it!